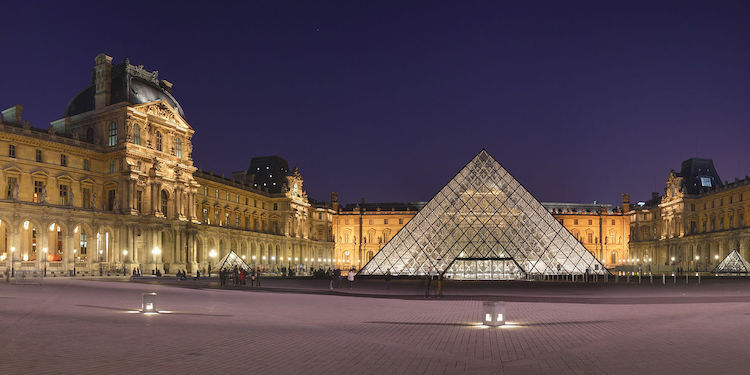 There are over 150 museums in Paris, including some of the most-visited in the world. As a visitor, the real challenge is choosing the right museums for you, the ones that match your interests, needs, and time. Right now we're going to concentrate on the biggest and the best. Paris is very popular, and so are its museums. You likely will encounter long ticket line-ups at the top museums. If you know us, you'll know we hate standing in lines. So, we appreciate the benefits of the Paris Insiders Pass — a worthwhile tool both to save money and to skip the long lines. By most reckoning the Louvre is the largest museum in the world. It certainly is big and it can be overwhelming. But, most of all, it's rewarding — there's so much magnificent artwork to see under one roof. 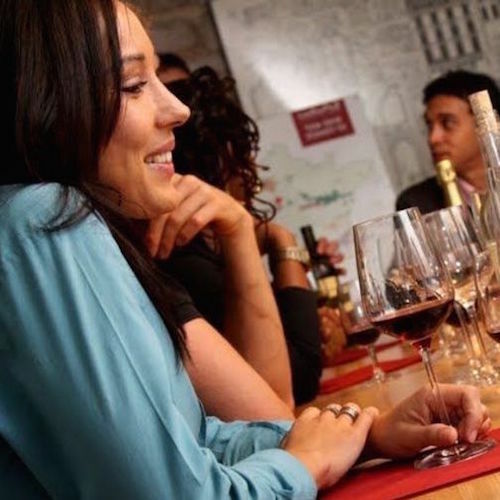 We've assembled Louvre facts, information, and especially advice on to plan your visit to ensure you have fun and see a lot without getting exhausted. Read our best advice about how to make the most of your time there, including our favorite piece of advice — how to skip the lines. Van Gogh, Manet, Monet and all the most famous Impressionist painters, together at last under one roof. 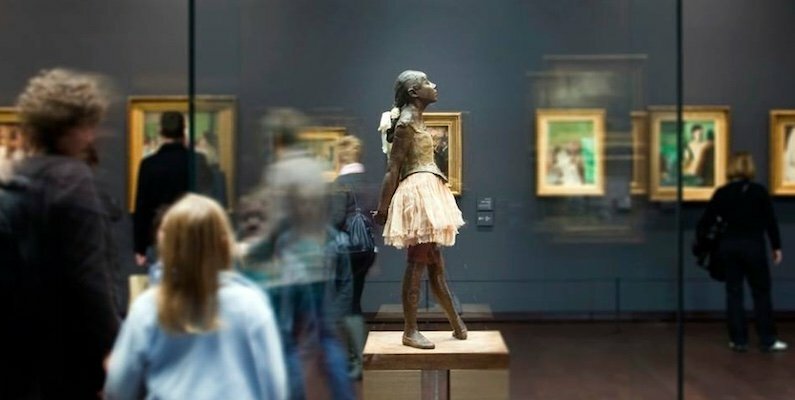 Musée d'Orsay is a jewel of a museum and one of our favorite places to be in Paris. Plan to spend at least a full morning viewing the Impressionists and other 19th-century French artists, and then have lunch in the museum's spectacular Belle Époque dining room. Although not as daunting as the Louvre, the ticket lines are still pretty long. So, we'll recommend ways to skip the lines and tell you about the artwork you don't want to miss. In Vincent van Gogh's short life he produced an incredible number of paintings that changed the way we think of art. One of the most popular artists in history is well represented at Musée d'Orsay. We've picked the top ten that you simply don't want to miss. The museum holds 49 paintings by 19th-century master Edouard Manet who had an important influence on the Impressionists. All of his works are worth seeing, but if you want to make a quick visit, we'll show you the five best — the ones you don't want to miss. Centre Pompidou is the converse of the Orsay Museum. Instead of 19th-century French artists, Pompidou is filled with the masters of 20th- and 21st-century modern art such as Warhol, Kandinsky, Duchamp, and of course Picasso. 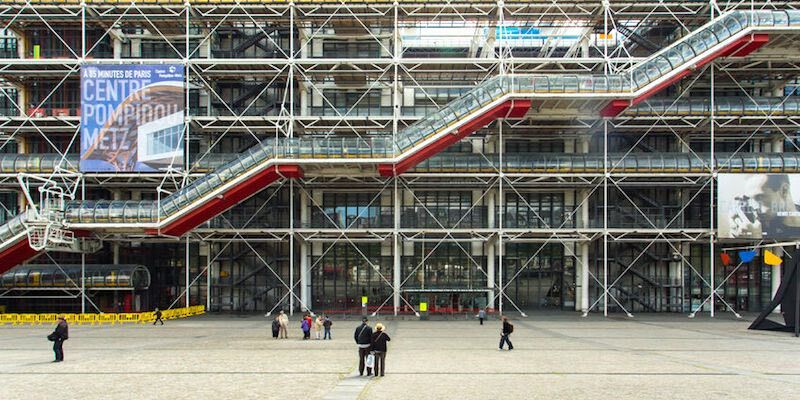 Famous for showing its skeleton on the outside, Centre Pompidou was controversial when it was first built, costing one billion French francs. More controversy surrounded the massive renovation required only 20 years later. which cost nearly as much as the original construction. Today, however, is not an exaggeration to say that the Pompidou Center is the greatest modern art museum in Europe. 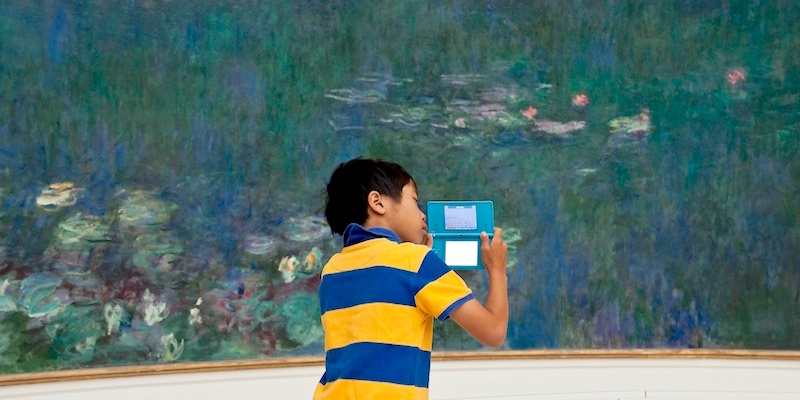 You may know that Musée de l'Orangerie is famous for its eight huge canvases of Monet's Nymphéas, or waterlilies. These are amazing and important pieces of 20th-century art. But did you know that the building also houses what was possibly the finest private collection of 20th-century masters? The Guillaume Galleries, on the lower floor, are fat with paintings by Renoir, Picasso, Matisse, Modigliani and many other leading artists. 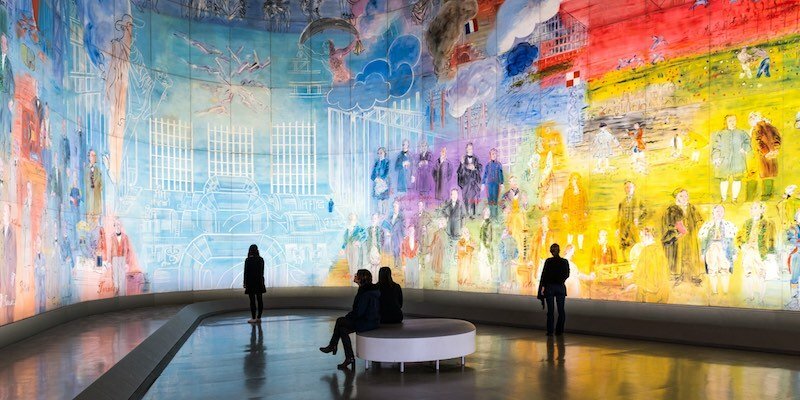 If you love painting, this is one museum you don't want to miss. 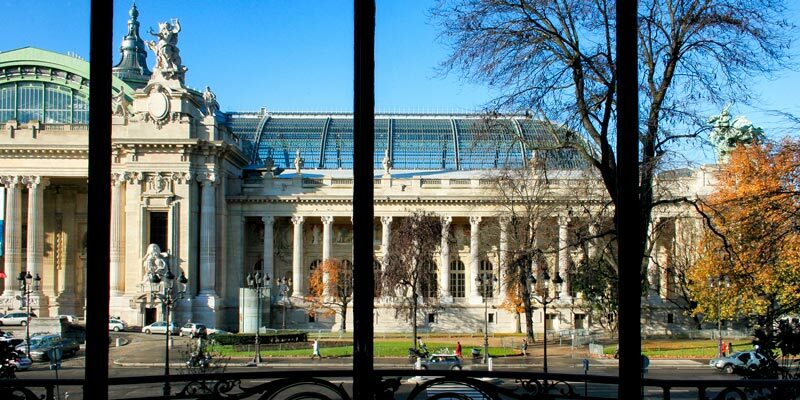 The Petit Palais may be small — petit — for a Paris museum, but we consider it one of the major museums of the city. There are eight major collections and a half-dozen special exhibitions every year. And its not just the collections that are magnificent, the building itself is a work of art with stained glass windows, mosaics, massive iron gates, and a lovely garden. One more thing — since this is a City of Paris museum, admission is free. You can't beat that! Pompidou Centre is interesting, huge, busy, and filled with great modern art. But to our way of thinking, there's a more enjoyable modern art museum in Paris — the Museum of Modern Art of the City of Paris. 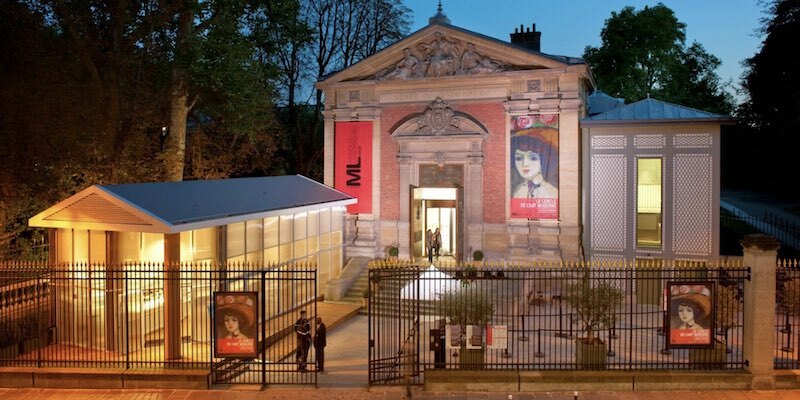 Centrally located on the banks of the Seine, in a classic 1930s palace, this Paris museum of modern art is less well-known, less crowded, and entrance is free. Yet it's absolutely filled with great works by the most dynamic modern artists. It's a place you won't want to miss. The Grand Palais is the big brother to the Petit Palais and located directly across the street. (Avenue Winston-Churchill.) Both palais were built for the Paris Universal Exposition of 1900, along with the avenue itself and the bridge Alexandre III that connects across the Seine to Les Invalides. The Grand Palais is really three major spaces in one. It houses the great science museum, Palais de la Découverte, a couple of large galleries for major art shows, and the nave, the famous glass-domed vault and exhibition space. There's a lot going on in this massive space. 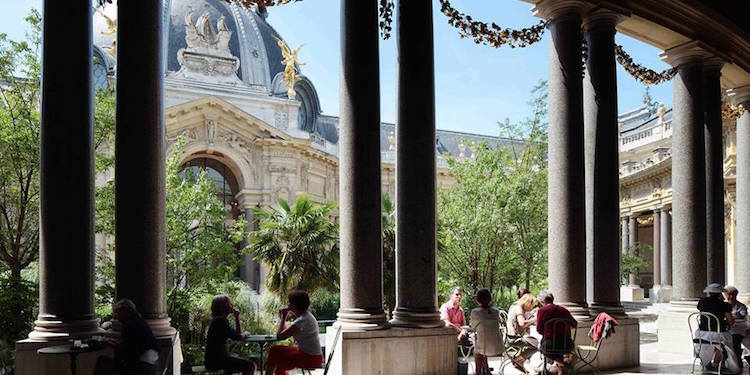 It may seem odd to include among these great institutes one of the few Paris museums without a collection or permanent exhibit, and is only open for a few periods a year. But Musée du Luxembourg, next to the jardin of the same name, stages fascinating special exhibitions, all of which are worth seeing. The museum is able to bring extraordinary pieces form around the world is shows that focus on an artist, or a period, or a narrow theme. Long ticket lines at the major museums can be discouraging, especially when you have so little time in Paris. That's why for years we've been advising friends and readers to get ahold of the Paris Museum Pass. We've found that not only do you save money and have unlimited access to something like 60 museums & attractions, but you get to skip those long ticket lines at the popular museums. Being able to walk past those lines is alone worth the cost of the pass. 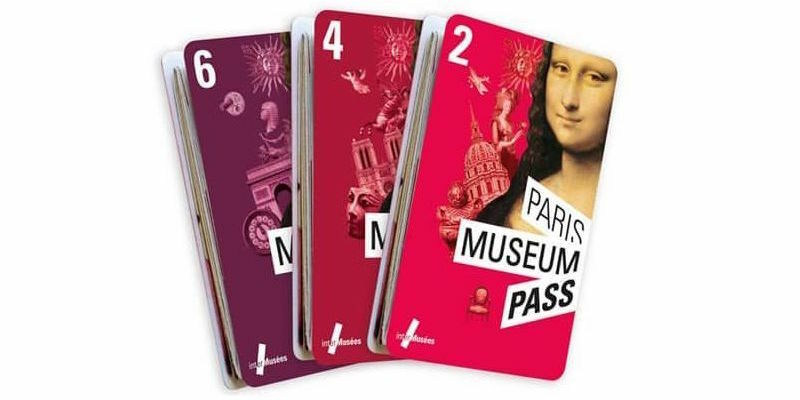 There's more about the Museum Pass in our review, but we also wanted to mention that the best way to get the pass is as part of the comprehensive Paris Insiders Pass that includes the museum pass, the Paris Metro Pass, and an additional attractions pass. As part of our neverending quest to avoid standing in line, we also like the museum tours in Paris where your guide leads you directly inside, avoiding the lineups. We also like a good guided tour because we learn so much more than when we just wander around a museum by ourselves. It's the best way to experience a museum. 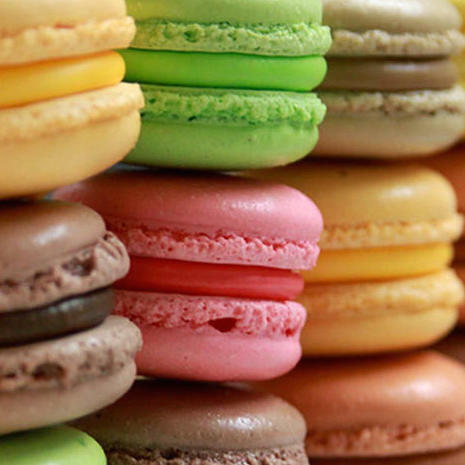 Did you know you could spend a week in Paris, see a dozen museums, and not spend a Euro? Do it by visiting the fascinating free museums that are found throughout the city. 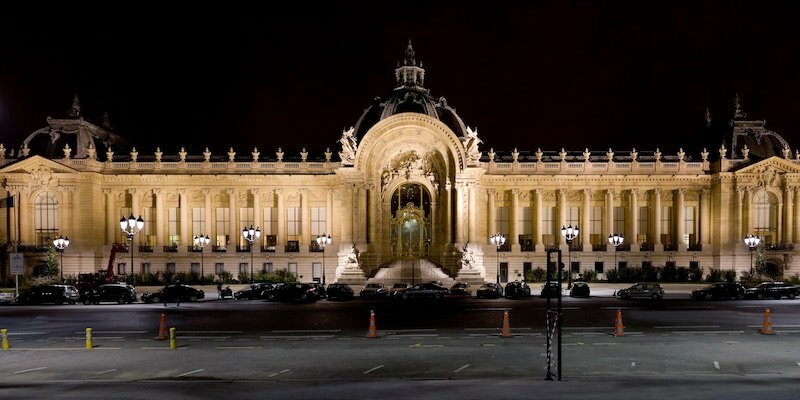 Most of the museums owned by the City of Paris now offer free entrance to the regular exhibits. 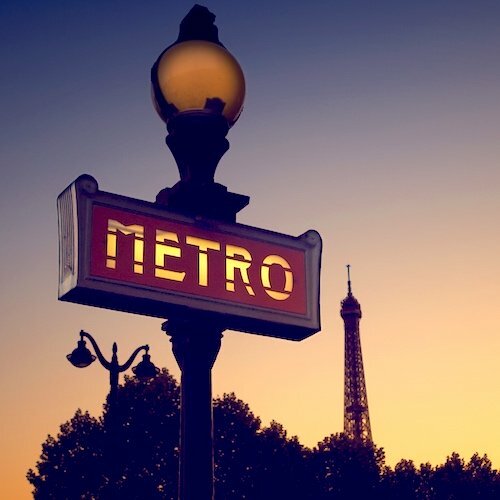 Interested in the history of Paris? The museum is free. So is the City of Paris Museum of Modern Art, the museum of the French Resistance in World War II, The Beaux Arts museum at the Petit Palais and many other really fascinating museums.